On December 13-14, 2016, an international panel of reviewers met at the TMT project office in Pasadena for the Final Design Review of the Common Software (CSW) subsystem. The CSW includes the software required to integrate the TMT subsystems and establish the software communication backbone and interfaces necessary for observatory-wide configuration, command, control, and status reporting. The review board approved the design and recommended TMT proceed with CSW production. 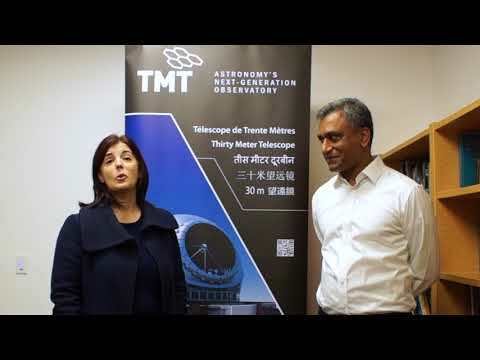 The TMT project office and the India TMT Coordination Centre (ITCC) in Bangalore followed a rigorous vendor qualification process in the spring of 2016 to qualify three vendors. In October 2016, following a Request For Proposal process, ThoughtWorks Technologies, a leading company in global software design active today in 14 countries, was selected to perform the CSW implementation for TMT. The contracting phase will start immediately, and the planned CSW contracting activities will be managed by the ITCC.